Picture this. Sandy beaches, crystal clear water, kids running up and down the sand dunes. Swimming, hiking, great restaurants, plenty of shopping, and at the end of the day you’re relaxing by the lake sipping a cocktail. Sounds like the perfect destination for a family getaway. We thought so! The car was packed and we were ready to trek up to Traverse City. The drive was about 5 1/2 hours from Glen Ellyn but well worth it. I suggest visiting during the week because the weekends tend to harbor more tourists. We stayed at the Bayshore Resort. It was a bit of a walk to get to the heart of downtown. The hotel was a little dated but VERY clean and the staff was incredibly friendly. Just a typical up north hotel, nothing fancy, but right on the water with their own swimming beach. If you go early June the kids will welcome the heated pool. When booking your reservation make sure to get a bayside room so you can take in the lake view. spend the day shopping. My kids loved the amazing (not so little) Horizon Books. If you have an train enthusiast in the house you will want to stop by Trains and Things Hobby. Of course every great town has a quaint little toy store and the one is Traverse City is called Toy Harbor. And the food! There are so many great places to eat. We didn’t get a chance to enjoy all of the top notch restaurants with the kids in tow. Instead we ate fabulous pizza at Paesano’s and had great burgers at Bubba’s. Our favorite was the local, all natural, organic ice cream at Milk and Honey. We will for sure go back and do a culinary tasting tour 🙂 As far as getting around there is plenty of public parking. You are better off finding a lot and parking rather than driving around hoping to score a meter. 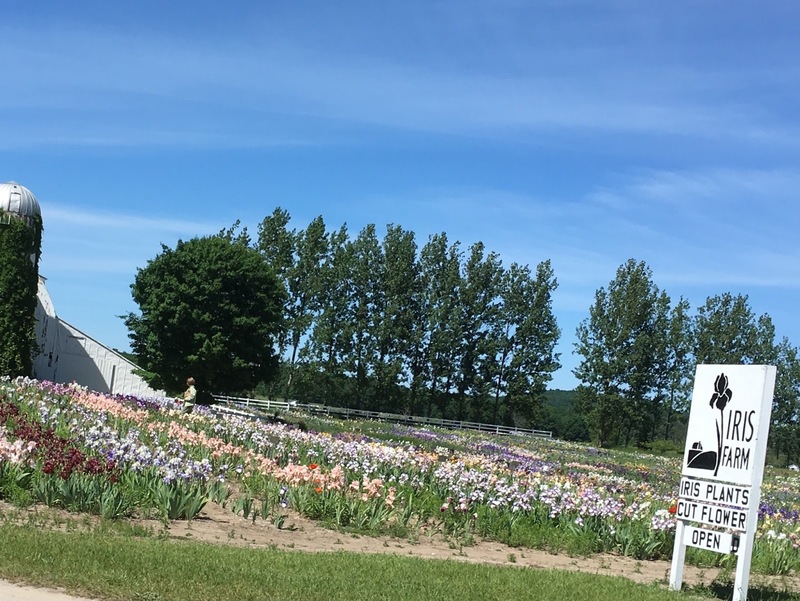 As much as we loved spending time downtown our highlight was driving to Sleeping Bear National Lakeshore. AMAZING!! On the way up we ate at Horizons and Sunsets in Empire. It’s like eating at a hole in the wall gas station (minus the gas) but the Mahi Mahi Tacos were the best, plus our family loves a good dive restaurant. Our first adventure was the Dune Climb. Lucky for us the weather was perfect. When planning your getaway take that into account because the sand can be hot on little feet! We hiked the trails and walked the beach. We lingered by the water and soaked up the views. Next on the list was Pierce Stocking Scenic Drive. The overlook to Lake Michigan is spectacular. I thought to myself are we still in Michigan? The water was so blue and crystal clear. It looked like the Caribbean (I started pining for a pina colada).